When you begin developing your new lighting design, look for eco-friendly lights in San Jose. Eco-friendly lights and designs can help you save significant energy costs and improve your influence on the environment. 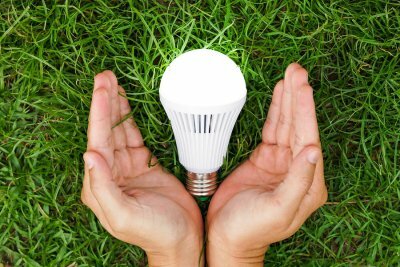 There are a few different ways , such as scheduling your light usage and using low-energy lightbulbs, that will help you save money and create a more energy-efficient house. Whether you are updating your current lighting or creating a brand new lighting design, it is best to complete your project with eco-friendly lights. The most commonly used eco-friendly options are light emitting diodes, also known as LEDs, and compact fluorescent lamps, known as CFLs. Both of these lighting options burn much cooler than traditional incandescent lights, and they will last years longer. When you install your LED bulbs, you will be saving the environment and saving on energy costs. It is not unheard of to use timed or scheduled lighting designs for outdoor lighting. This same practice should be utilized indoors, as well. By keeping your lights on a schedule, you can better regulate the amount of energy you use. For example, you may use a timer or motion sensor feature for your lights in various rooms throughout your home. In the event you or a family member turn on a light and leave the room, it will automatically turn off within a few minutes. Another way to create energy efficient lighting is by utilizing as much natural light as possible. By angling your window blinds to allow in indirect sunlight, you can refrain from turning on your lamps and overhead lights for as long as possible. Keep direct sunlight from entering your home, though. The sun may fade your interior flooring and paint, and if your home heats up due to the sun, you may incur more energy costs by keeping your air conditioner running constantly. When purchasing products to use in your home, you typically try to find an equilibrium between practicality, affordability, and energy efficiency. Take lighting, for example; you want a product that will provide ample light without costing a fortune in energy bills. That’s where LED lights come in. To learn more about how you can save a considerable amount on lighting, reach out to LED lighting specialists in San Jose . 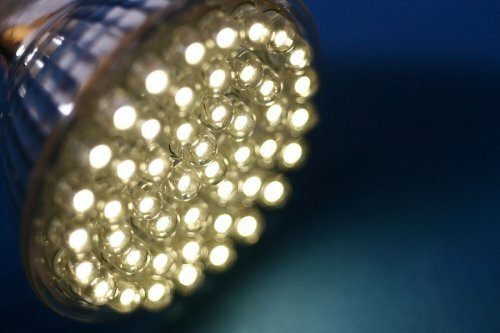 One of the main reasons why LED lights are so popular is because they last for a long, long time. Incandescent lightbulbs typically last for little over 1,000 hours. While that may sound like a lot at first, it really isn’t when you compare it to the 50,000-hour lifespan of your average LED light. To put that into perspective, that’s about 15 years or more of average light usage, or 5.7 years of continuous usage. Though LED bulbs may cost more than incandescent bulbs at first, you more than make up the cost in energy savings and bulb replacement costs over time. LED lights provide the same amount of light as other bulbs on the market, but use just 10 to 15% of the energy. As a homeowner, you’re always on the lookout for ways to make home life more comfortable. One of the most basic aspects of home comfort is making sure the air is the right temperature—unfortunately, this isn’t always easy to do without spending a fortune on energy. If you’re looking for a relatively inexpensive way to upgrade your gas or wood fireplace, ask your San Jose fireplace experts about a heat exchanger . What does a fireplace heat exchanger do, you ask? First, a fireplace heat exchanger takes in cool air through a fan apparatus. Then, the air travels through a system of pipes located in a roaring fire. The air inside the pipes becomes heated by the fire before being expelled into the living space. Simply put, a fireplace heat exchanger takes the cool air in your home, turns it into warm air, and sends it back into your home. You might think of heat exchanger as a sort of low-tech furnace. 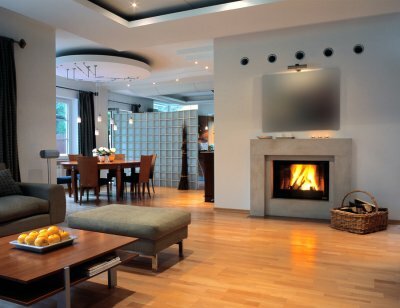 Though fireplaces are great for ambiance, they aren’t very good at heating large spaces. In fact, much of the heat put out by the average fireplace goes straight up the chimney, where it’s not doing any good for anyone. A heat exchanger is designed to harness more of the heat from your fireplace so you can stay comfortable. Making better use of this heat will help you save money on gas or wood, depending on your fireplace fuel source. When the nights get cold, you need all the help you can get to stay comfortable. If you’d rather not huddle around the fire to stay warm, you’ll find a heat exchanger to be a worthwhile addition to your fireplace. With a heat exchanger, you don’t necessarily have to be near the fireplace to enjoy its warmth—the air from the exchanger will permeate your living spaces, making you and your family warmer and more comfortable. It’s important to think of lighting as a part of your interior décor. Not just any light will do—certain configurations will highlight your design elements better than others. Recessed lighting has become popular in recent years because it provides ample lighting without drawing too much attention to itself. 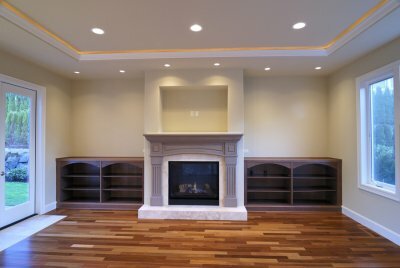 If you’re considering recessed lighting for your home, let lighting professionals in San Jose provide a helping hand. In the meantime, consider this guide on how to use recessed lighting in your home. Recessed lighting is installed inside the ceiling, freeing up the vertical space in your home. There are several places where recessed lighting is most effective. For instance, many homeowners choose to install recessed lighting beneath cabinets, where it can provide a sufficient amount of light for meal preparation. In that respect, recessed lighting serves as a decorative yet functional accent. Recessed lighting can also be used for whole-room overhead lighting. You might consider using recessed lighting this way if you have low ceilings. Once you determine where you want to install recessed lighting, you’ll need to figure out the spacing. This all depends on the size of the room and the amount of lighting you want. For instance, you’ll probably want a considerable amount of light in your kitchen, whereas fewer lights would likely suffice for your living room. For help determining the appropriate spacing, turn to a team of lighting experts in San Jose. After settling on the basics, it’s time to decide on fixtures and bulbs. The most efficient and cost-effective solution is to go with LED bulbs, which can last years longer than their incandescent counterparts. Have a lighting expert help you determine which wattage will help you achieve your stylistic goals. If you like versatility, for example, consider going with a bulb that has a dimmer option.